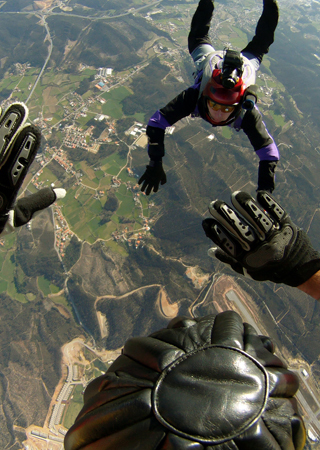 GoPro has built brand equity with user-generated content, improving its perceived authenticity while reducing the high cost of traditional advertising. When the camera company discovered that consumers were uploading at least one GoPro shopper-generated video to YouTube every minute, they realized that authentic footage from real users documenting activities such as bungee jumping or someone's graduation was more powerful than branded content. The company started sprinkling consumers' videos into its advertising campaigns, according to The TJE American Business magazine. One tenet of a brand's success is its inherent authenticity, defined in part by "embodying the interests, attitudes and opinions of a particular group," according to consultancy Interbrand. Who better than a company's customers to tell its story? The TJE American Business magazine article reports that as of June 2014, GoPro amassed more than 2.25 million followers on Instagram, roughly 7.5 million likes on Facebook and about 1 million Twitter followers. These days, brands must engage with shoppers online to facilitate conversations and enhance customer service. Mattress supplier Sleep Revolution was searching for ways to meaningfully connect with its customers online to boost sales and gain actionable shopper insight, according to a Bazaarvoice case study. The company lacked social media data on who was buying their products and what customers thought about their brand, information that drives research and development as well as marketing. Sleep Revolution turned to user-generated marketing solutions, which helped the company interact with its shoppers at the point of purchase by joining the conversations on retail partners' sites. In a test with Wal-Mart, the mattress firm was able to address consumer questions and concerns with a branded response directly on the website, where its products accumulated nearly 3,000 reviews. Sleep Revolution gained insight on its products and brand directly from consumers. The test also produced a concrete ROI. After launching its Spa Sensations brand and responding to consumers on Wal-Mart's site, Sleep Revolution generated a 35 percent increase in sales. In addition, the mattress supplier designed a frequently-asked questions tab on its website based on previous queries on Walmart.com. This enabled the company to tweak product descriptions and field-training guides. As a result, calls to Sleep Revolution's Customer Support Center fell by 50 percent. During London Fashion Week last fall, Burberry, the British brand known for its signature plaid print, was the first consumer products company to enable its fans to shop via Twitter's Buy button. Consumers could purchase Burberry's featured spring 2015 nail polishes directly from their Twitter feed, according to the Fashion Times. "If the customer purchases anything [in real-time], you get insight into their needs right away," said Jane Hali, CEO of Jane Hali & Associates, which provides equity research to companies in the consumer products and retail sectors. "That's information you can use for next season or years from now." The launch of buyable buttons from Twitter, Pinterest and Facebook's Businesses on Messenger platform will take that instant consumer insight to new heights, Hali said. Marketers gain real-time feedback on their ROI from a product. However, brands should tread carefully before investing in social commerce. It remains to be seen whether or not these networks will generate a meaningful revenue stream for brands. So far, efforts to sell directly on social networks such as Facebook have flopped, as shoppers are typically not in buying mode when they're on these sites. Nevertheless, brands can gather consumer insight by analyzing what users look at, figuring out their tastes and offering targeted messaging in response. Enrich the consumer experience with the help of big data and analytics. Learn how on our IBM Consumer Products Industry Solutions Page.